Old age and poverty often make a spirit-crushing combination. 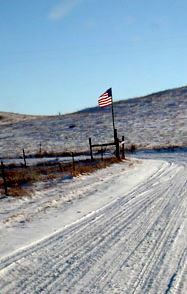 Add to that the harsh climate and isolation of reservations in the Northern Plains and what you have is desperate need among vulnerable Elders. while the children’s parents live and work in distant cities. With the traditional generosity of Indian communities, families and friends do all they can to help, but resources across the reservation are stretched perilously thin. The nearest towns may be several hours away over poorly maintained roads. Reliable transportation is scarce and money for gas and purchases even more so. How can I help? 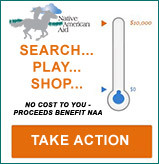 Native American Aid helps ease these devastating hardships through a unique partnership with Native American volunteers on each reservation. These Program Partners identify the needs of their communities, ensuring that seniors remain a priority. are socks, underclothes, and blankets. Other community members give of their time to unload, sort, and distribute goods to those in need. This is known as the NAA Way. Oft-requested items include socks, underclothes, and blankets. Elders are also grateful for basic necessities such as toilet paper, toothpaste, tooth brushes, shampoo, soap, foot powder, and body lotion. Local volunteers deliver these supplies to local Elder Nutrition Centers where many seniors gather for a hot, nutritious meal each day. The Elder Care program gives community volunteers the ability to comfort and honor their highly respected tradition-keepers. The Nutrition Care program offers additional help by providing nutritious fruits and vegetables to elders and their families.